I’m counting down the days to when I will fly back to my beloved Sardinia – but until then, I am addressing my beach addiction here in London, sipping Stoli Vodka cocktails at Camden Beach. 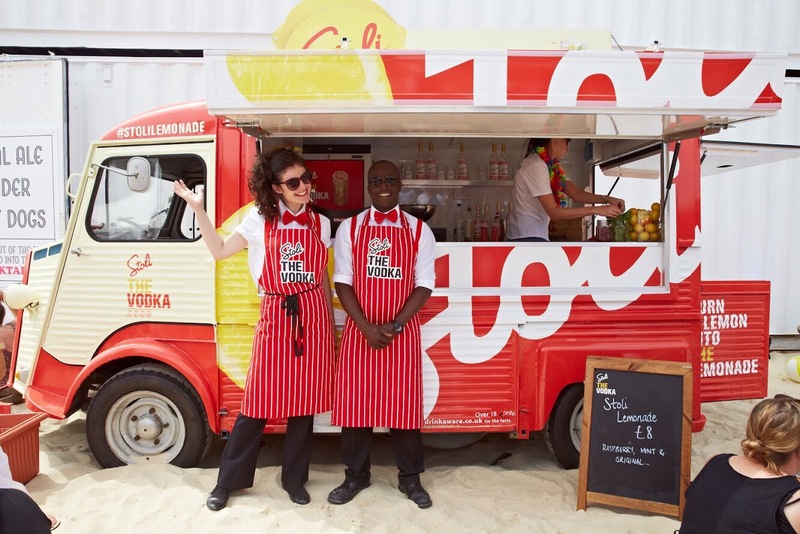 For the Stoli Vodka press launch and throughout the summer, the Roundhouse‘s Camden Beach features a Stoli truck selling awesome fresh Vodka Lemonades in jars. Complete with a tiki bar and Fishy Business‘ proper fish and chips (with an amazing veggie option made of blue cheese croquettes and grilled vegetables), Camden Beach is a free-entry venue where you can either play ball with the kids or sip refreshing cocktails in the beach huts with the grown-ups. Or you could have fun mixing the two and have the yummy Stoli vodka lemon sorbet, made by Gelupo Gelato. Two cocktails later I didn’t believe I was in Sardinia, but I was definitely enjoying the ride. Check Camden Beach out! For the Italian version of the article, check Italian Kingdom.